State Ebola quarantines: Chris Christie, Andrew Cuomo, and other American governors are the last people who should be making rules about Ebola. Chris Christie, Andrew Cuomo, and other American governors are the last people who should be making rules about Ebola. Maine Governor Paul R. LePage. New Jersey Gov. Chris Christie and New York Gov. Andrew Cuomo caught everyone off guard this past Friday when they announced mandatory 21-day quarantines for medical workers arriving from West Africa. Public health experts, who had been warning against such measures for weeks, quickly voiced their displeasure. Undeterred by those expert opinions, at least a half-dozen other governors scrambled to follow Christie and Cuomo’s lead, announcing their own state-specific Ebola protocols that go beyond the active monitoring the federal government has deemed sufficient for all but the highest-risk individuals. This is the problem with states designing their own Ebola policies: We now have a patchwork of competing and sometimes contradictory regulations that at times even government officials have struggled to explain. The resulting mess could have disastrous effects both at home and abroad. It could convince American doctors not to volunteer in Sierra Leone, Guinea, or Liberia, where they are desperately needed. And it risks encouraging medical workers to evade hostile state governments, which could leave local health officials unprepared to act if the worst happens. As the editors of the usually reserved New England Journal of Medicine put it Monday: “[Christie and Cuomo’s] action is like driving a carpet tack with a sledgehammer: It gets the job done but overall is more destructive than beneficial.” Worse still, neither President Obama nor anyone else appears to have the power to pry that sledgehammer from the governors’ hands. State and local officials are tasked with controlling the spread of disease within their jurisdictions. The role of the federal government, meanwhile, is to keep the virus from arriving on U.S. soil or spreading between states. The White House could, in theory, step in if a state wasn’t doing enough to contain an outbreak, but its hands are tied when it comes to stopping a state that goes too far. “I guess you can take that up with James Madison,” White House spokesman Josh Earnest quipped Monday when asked why the administration hasn’t mandated a single overarching set of standards for the entire country. Traditionally, federalism hasn’t been detrimental to public health. States and cities have a history of success when it comes to controlling diseases like tuberculosis and the measles. But those infectious diseases are highly contagious and likely to spread locally, where state and municipal officials are best able to coordinate the necessary response. Ebola, meanwhile, is highly infectious but not highly contagious. It takes only a small amount of contact with the virus to become infected, but the only way for that contact to happen is through the bodily fluids of someone who is sick. That’s why experts say there is no need to quarantine nurses and doctors who have been exposed. Even if they have been infected, they’ll have a chance to self-diagnose and get themselves to a hospital before they become contagious. That’s why a single, overarching national policy that is as unobtrusive as possible makes sense, especially given that there’s just one person in the United States right now with a diagnosed, active case of Ebola. It’s the only way to ensure that American medical workers answer the call abroad, while still receiving the attention they need once they return home. Ebola, of course, does pose unique challenges to each city and state. New York City’s size alone makes it a special case, and explains why the city’s health department went to great lengths to ensure that it was ready to go before Craig Spencer fell ill last week. That preparedness seems to have paid off. While health officials will continue to monitor those who came in contact with Spencer for the virus’s full 21-day incubation period, there’s been nothing to suggest that the virus spread. The need for local vigilance notwithstanding, Ebola is more of a global problem than a local one. When it comes to the disease’s spread, it matters more what happens in the United States in general than in New York or New Jersey specifically, and even more what happens abroad than what happens at home. The only way to guarantee an Ebola outbreak won’t happen here, where it has claimed only one life, is to end the epidemic in West Africa, where it has already claimed more than 4,900. But that message has been lost on Christie and his ilk, and the results are getting increasingly messy. Consider the rules that greet medical workers upon their arrival at one of five federally mandated points of entry. Land in New York City or Newark, and they face a mandatory 21-day quarantine, regardless of risk level. Arrive in Chicago, and they should be prepared for the same—unless, that is, they wore “protective clothing” while treating patients. Fly into Atlanta, and they can either agree to check in twice daily with health officials or be involuntarily quarantined at a “state-designated facility.” Touch down at Dulles International in Virginia, and they face the same active monitoring but without the threat of forced isolation. The already confusing hodgepodge is likely to get even more Byzantine as states continue to tweak and revise their rules. That’s something Kaci Hickox, the Doctors Without Borders nurse who was quarantined against her will in a New Jersey hospital over the weekend, is experiencing firsthand. Hickox is now at an undisclosed location in Maine, where she has agreed to be quarantined for an unspecified amount of time. Her current isolation is supposed to be voluntary, but in reality it doesn’t appear she had any other choice. “We fully expect individuals to voluntarily comply with an in-home quarantine,” Adrienne Bennett, a spokeswoman for Gov. Paul LePage, told Slate. “If an individual is not compliant, the state is prepared to take appropriate action.” Bennett refused to elaborate on what an “appropriate action” might look like, but the subtext seems clear: Hickox can accept a “voluntary” quarantine or be subject to an involuntary one. Hickox’s story is unlikely to convince other American medical professionals to go to Sierra Leone, Guinea, or Liberia. That’s a problem for all of us. In an emotional appeal to the international medical community on Tuesday, World Bank president Jim Yong Kim estimated that West Africa needed at least 5,000 more medical volunteers to end the epidemic. We can’t afford to give American doctors and nurses one more reason to stay at home. America’s governors, meanwhile, say they are just doing their jobs. “My first responsibility is to protect the public health and safety of the people of New Jersey,” Christie told the Today show on Tuesday. That’s exactly the problem. 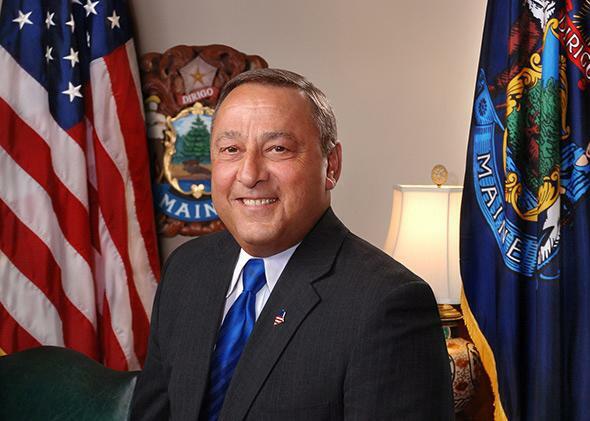 The fact that a governor, almost by definition, focuses first and foremost on the short-term risk to his own state leaves him unable to consider the bigger picture. America’s governors are acting like they’re the best men and women for the job. In reality, it’s their jobs that make them uniquely unsuited to dictate the country’s response to a global crisis.